I chose these particular apps to share bases on usefulness, ease and design. I am not at all affiliated with any of these companies or programs. I am simply passing along information that I feed will be useful to other mothers. Instead of paraphrasing, I am going to go ahead and quote the companies so that you can get a clear idea of what each app can do for you. Baby Nursing/Breastfeeding helps you track your baby’s nursing progress, growth, diaper changes, doctor’s visits, and more. Similac Baby Journal easily track your baby's eating and sleeping habits, diaper changes, and more. Email journal entries and reports to others. Access the complete library of Similac® StrongMoms® tips and advice. Call a live Similac Feeding Expert with the tap of a finger. Nursing Clock and Flashlight Convenient clock and flashlight designed for parents to use during late night check-ins on the baby. Includes a LED flashlight for soft light to use in the nursery and a bright, clear digital clock that is easy to read. Use the clock to set a quick alarm to remind you when it’s time for a feeding. Also tracks how much bottle was fed and what side to nurse on. Stopwatch timers track how long the baby has been feeding, crying, or sleeping. Pump@Work Simplifies the features you love about spreadsheets and hand written pumping logs in a chic, digital format for the busy mom heading back to work. pump@work is a stress-reducing solution to pumping, storing and providing just the right amount of milk for your infant each day. Breastfeeding Management 2 An evidence-based application developed by the renowned Massachusetts Breastfeeding Coalition to help the clinician identify, triage, and manage common breastfeeding problems in the first weeks of life. The Breastfeed App, formerly available for free, now includes 5 calculators, including two feeding calculators and a weight loss calculator. It also includes information on medications as well as a link to LactMed, the comprehensive online resource from the National Library of Medicine. iBaby Feed Timer Designed by and for breastfeeding/nursing mothers who want to track when and for how long their baby feeds. Including a useful reminder for when a feed is due. Milk Maid Designed to help pumping moms manage their stash of breast milk. Total Baby will help you log and time all aspects of your child's care through a smart and sleek interface that makes tracking easy and fun. This one is my Favorite! There is too much information to put here. I highly recommend you check this one out! I hope that this list assists you in finding the right app for your needs! 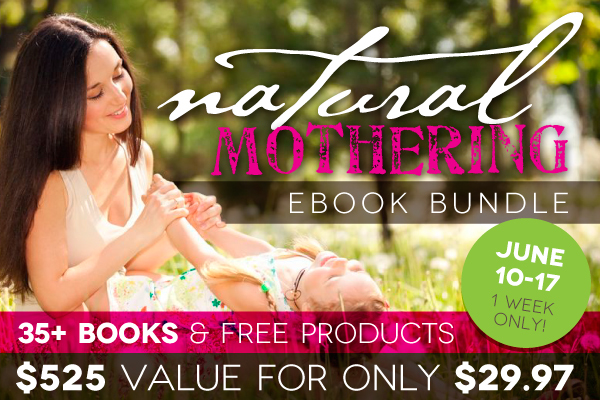 The natural Mothering Ebook Collection has wonderful resources for Breastfeeding and approaching Motherhood naturally.